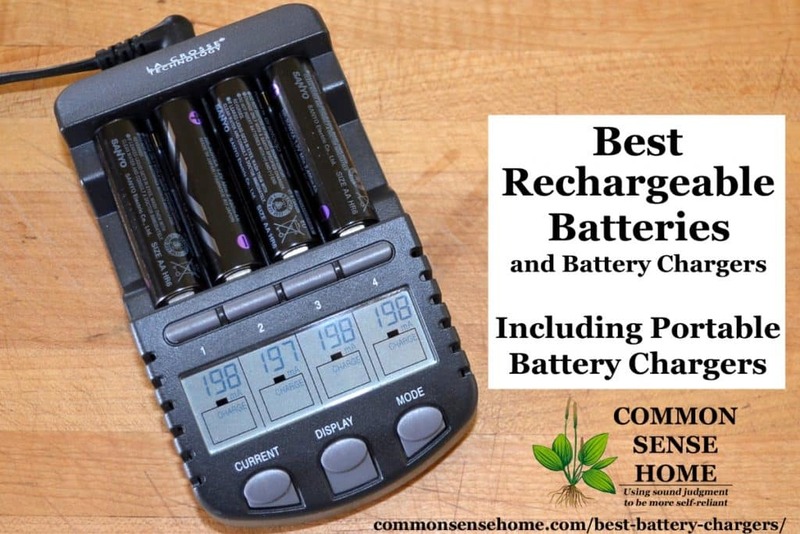 My husband, August, did a ton of research to find the best rechargeable battery and the best battery charger for emergencies and every day use, so I asked him to help put together this post to share what he found out. We identify the best value and absolute best AA, AAA and 18650 rechargeable battery in this post. We also review a 21 watt solar panel that provides 5 volt USB power and emergency radios with built in solar and hand crank chargers to charge USB devices. Note: If you're looking for information on car batteries, see: “Car Won't Start in the Cold? Check out these Troubleshooting Tips“. A rechargeable battery will save you money. That rechargeable battery also reduces waste in the environment and provides options in emergencies. The best rechargeable battery brands vary over time, so we'll update this post to keep up with the available tech. Right now Tenergy is the leader for rechargeable AA or AAA batteries. Recommended AA and AAA rechargeable battery. Tenergy High Capacity 2600 mAh 1.2v AA 24 pack as low as $1.30 each for in bulk but prices will vary. 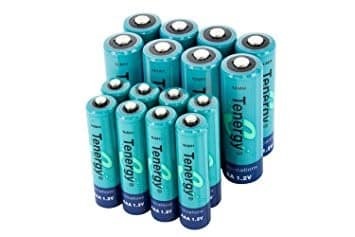 The Tenergy High Capacity 1000 mAh 1.2v AAA 24 pack is our pick for AAA, at approx $1.00 each are the best for everyday use in items like clocks, toys, radios, remote controls and of course flashlights. The Tenergy AA and AAA batteries can up to 1000 recharge cycles. Pretty much all types of Tenergy rechargeable batteries are a good buy for everyday use and for use in a high drain device. The next best standard rechargeable battery brand for AA and AAA battery is the Eneloop 1.2v 2000 mAh AA 16 pack at and the Eneloop AAA 800mAh 1.2v 16 pack (check links for current prices). 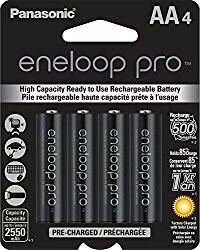 The Panasonic Eneloop Pro AA 2550 mAh 8pack and Eneloop Pro 950 mAh AAA 8pack are the best for long term storage and intermittent high drain use. They are also the most expensive. The Low Self Discharge of these AA and AAA batteries give them a long shelf life. They hold their charge so well that they hold 80% of the original charge even after sitting on the shelf for one year. 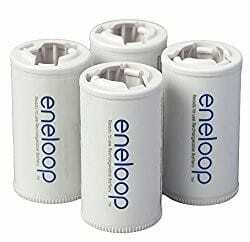 The Eneloop Pro can also be recharged up to 500 times and have high mAh for high drain devices. All of these benefits make the Panasonic Eneloop Pro AA & AAA batteries a very powerful & popular choice for a rechargeable battery. Nearly all AA and AAA batteries are 1.2v not 1.5v. Some devices require 1.5 volts, such as trail cameras. If a device needs 1.5 volts, we recommend the Energizer Lithium. 1.5 volt rechargeable batteries do exist but we have not tested one of the KENTLI 1.5v AA 3000mWh Lithium-ion Polymer Battery, 3rd party reports indicate the battery is so-so and provides about 1600 mAh. The Kentli also requires a special charger. There are also 1.5v AA batteries that can be charged with USB. The USB AA 1.5v rechargeables are also in the 1200 to 1600 mAh range, so they are measurably lower capacity than any of the standard 1.2v rechargeable batteries and also have so-so reviews. EBL is OK to good, but be aware that it advertises a much longer shelf life and higher mAh rating than you actually get. 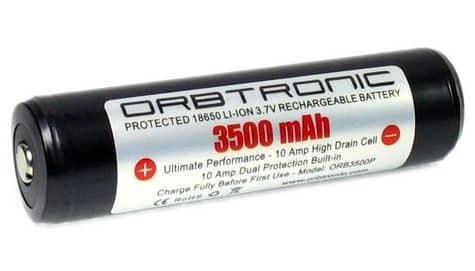 Recommended 18650 Battery. We bought and recommend the Orbtronic 3.7v 3500 mAh 18650 protected mode battery. It has been a consistent performer in various flashlights around the house. The 18650 battery type is becoming more common as it is used as part of battery packs for everything from rechargeable toys, to laptops, to electric cars and of course flashlights. It is about 2x to 3x the size of a AA. Inexpensive 18650 Battery. A well priced alternate is the 4pack of Odec 3350mAh 18650. The Odec would be the clear #1 if they were protected mode (protected from over-charging), if you have experience dealing with unprotected 18650's these are a great choice. Need more information on what an 18650 battery is? See this post: What is an 18650 Battery? The EBL has good ratings and is our winner, but only by a hair. Be aware EBL overestimates the mAh ratings on nearly all their batteries. The good news is that testing came back with higher scores than many of their competitors, just not as high as EBL noted. Also there are not a lot of long term reviews of EBL. Although we recommend you buy rechargeable batteries for most uses, it's handy to have a stash of non-rechargeable batteries, too. We use non-rechargeable batteries for situations where the battery might be lost, or for very long life, low drain situations. In some rare cases devices need the 1.5 volts. Also non-rechargeable batteries will work better in extreme cold. You might want to use the lower cost batteries for use in gifts where you don’t want to give away your expensive rechargeable batteries. Nearly all standard AA and AAA batteries are 1.5 volts. Watch for sales and stock up so you don't impulse buy at a convenience store because you need them and don't have them. Also note, rechargeable and regular batteries tend to sell out quickly when emergencies hit – so buy them in bulk. You can find alkaline batteries fairly inexpensive in bulk. In packs of 100 to 500 you can get Energizer batteries between 35 to 40 cents and Duracell at 28 to 36 cents. Our favorite standard AA battery is the awesome lightweight 3000+ mAh Energizer Lithium 1.5v AA (non rechargeable). But they are about $1.46 each in bulk. 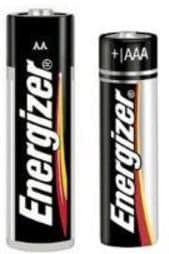 The Energizer Lithium AA is lightweight and lasts 7 to 8 times longer than a normal AA battery BUT it costs more than a Tenergy High capacity 2600 mAh AA rechargeable battery. Compare prices before you buy standard alkaline or newer lithium non-rechargeable batteries. The regular Energizer AA (not the lithium) are about $.55 each. At only one recharge, the Tenergy is cheaper (unless you lose the battery or give it away). As we noted, there are cases where the Energizer or Duracell make sense, but the rechargeable cost per use is decreasing rapidly. Even the high end Eneloop Pro AA at approx $4.50 each breaks even at 9 recharges and it can handle 500 recharges. Alkaline batteries are still cheaper per unit but the rechargeable battery price has been dropping to the point that the rechargeable battery will be a better straight cash value soon. As an example, if you buy the 60 pack of Tenergy High Capacity AA batteries they are less than $1.36 each. If you only recharge them 3 times you have covered your total cost, and if you perform 4 or more recharges and you have saved money. Unless you need 1.5 volt batteries (which is rare) the Tenergy is the best bet. 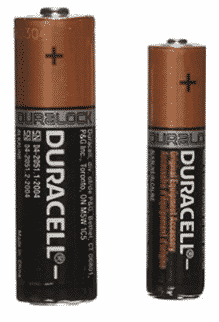 If you are going to buy alkaline batteries we recommend the AA and AAA Duracell PROCELL and Energizer Industrial. They are both good batteries for the price. The best prices are from online resellers in boxes of 10 or more. 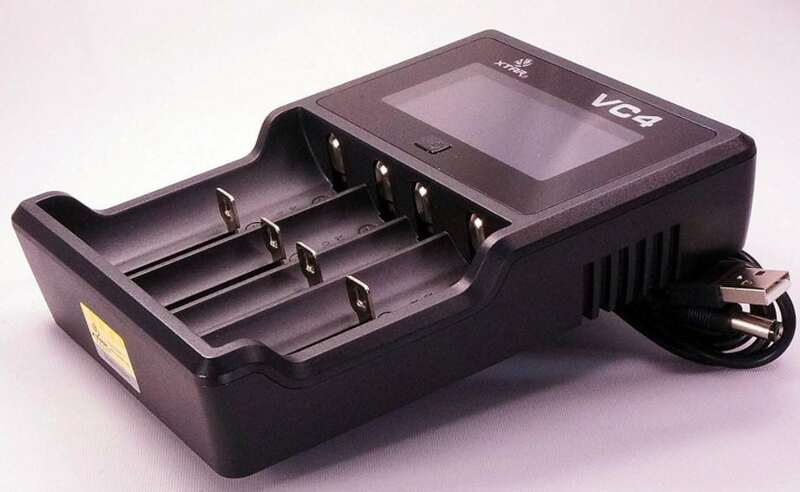 The XTAR VC4 Battery Charger is our pick for overall best USB smart charger and overall BEST CHARGER. It is simple. It uses USB for power, so a PC, USB A/C power supply or even a solar panel can charge four: 10440, 14500, 14650, 16340, 17670, 18350, 18500, 18650, 22650, 26650, 32650, AA & AAA rechargeable batteries at a time. We tested it using power from the Nekteck solar panel and it worked on all batteries tested. It can also plug into any 5 volt USB A/C adapter or computer USB port. 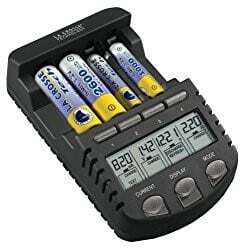 We have charged AA, AAA and 18650 batteries with it. It is not fancy but it works. Since we have a number of AA and AAA rechargeable batteries we needed a good smart battery charger. We selected the La Crosse Technology BC-1000. It charges either AA or AAA batteries, and it can refresh some otherwise “dead” rechargeable batteries. We used the refresh mode, and it does work. It recovered mAh and a number of other “dead rechargeable batteries”. We like the BC700, but prefer the 1000 because it has higher mAh capacity. Best AA and AAA charger. The A/C or 12v powered LaCrosse BC1000 Alpha Power Battery Charger is best for charging and maintaining up to four AA and AAA batteries at a time. It can refresh nearly dead rechargeable batteries. It also autosenses the max charge in mAh (mili-amp-hours) and displays it on the console. The Maha C9000 is an excellent, well rated alternative. 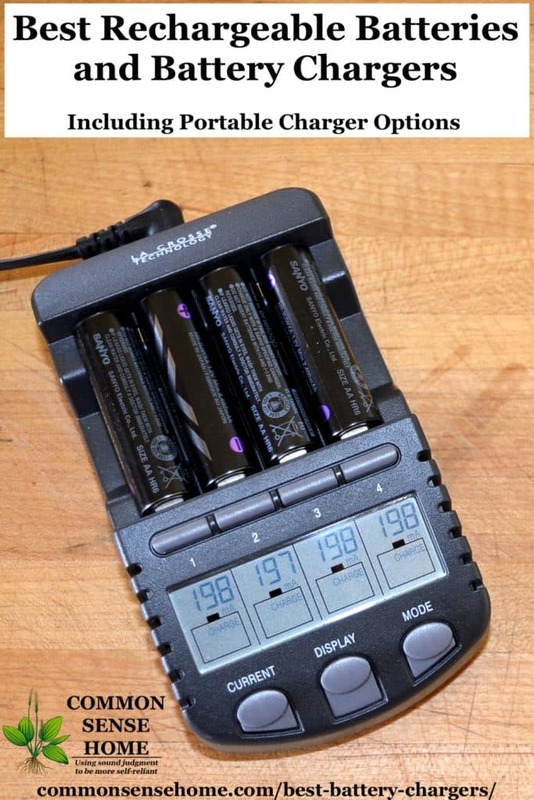 If you are using lower mAh AA and AAA batteries the BC 700 is also a good charger. The Maha and LaCrosse switch places as #1 periodically. Both will charge your batteries, have clearly labeled modes and will automatically shut off when a battery is fully charged. Neither of these are super fast charging. We recommend the Nekteck 21. 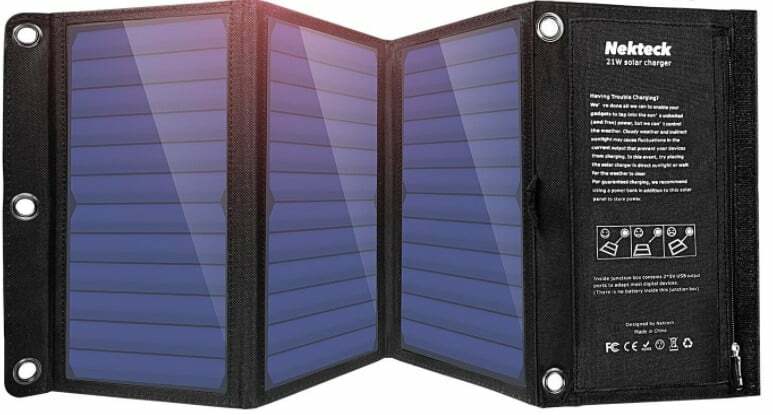 The Nekteck 21 is a 21 watt solar panel that provides USB power. The Nekteck is a good emergency, camping or “Off Grid” battery charger. It is portable and can charge any 5 volt USB device such as: smartphone, tablet, and USB power packs. We bought one for outside events, camping and to be prepared for common emergencies like power outages, snow storms, hurricanes, floods and other disasters. The Neckteck has charged cellphones and batteries reliably. There are numerous 21W solar panels that can charge nearly any USB device. We considered the Goal Zero 20, the Anker 21 and a few others but ended up selecting the Nekteck due to its high ratings (and it has lived up to those ratings). This unit is simple, easy to use and it works. See also “Solar Emergency Gear – Lights, Power, Radios and Ovens“. The Anker PowerCore 26800 portable battery pack provides 5 volt USB power to a cellphone, tablet or any other USB powered device. It allows you to store up power from the Nekteck solar panel during the day and have it available in the dark or when it’s overcast. This battery pack acts as a portable charger to give you flexibility in providing power to your cellphone or tablet, when other power sources are unavailable. We recommend that every emergency kit includes an emergency radio with AM, FM, and Weather. It can provide you critical info in an emergency. 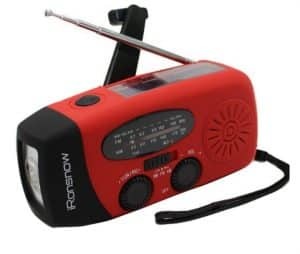 The radios recommended below can be powered by Hand Crank or Solar and can charge your smartphone or other USB device such as the battery pack (if you crank a LOT). 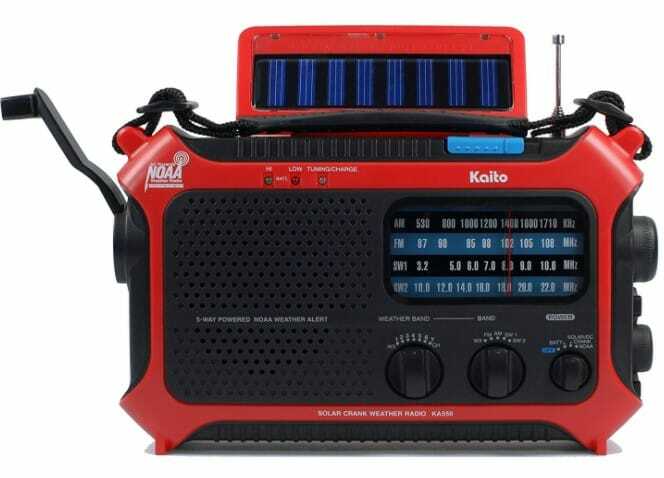 Recommended Emergency Radio: We recommend the Kaito Voyager radio because it can receive AM, FM, Emergency and Shortwave Radio 8” x 5” x 2.6” inches 19.5 oz. It can charge itself or charge a 5 volt USB device using the hand crank or solar panel. Runner up Emergency Radio: iRonsnow IS-088U+ Emergency Radio 5 x 1.6 x 2.4 inches 7.2oz – this one is lightweight and compact for a backpack, small get home bag or if you are a prepper a bug out bag. It can charge itself or a 2.7 to 4 volt USB device using the crank or solar panel. In an emergency you might only have AA batteries. 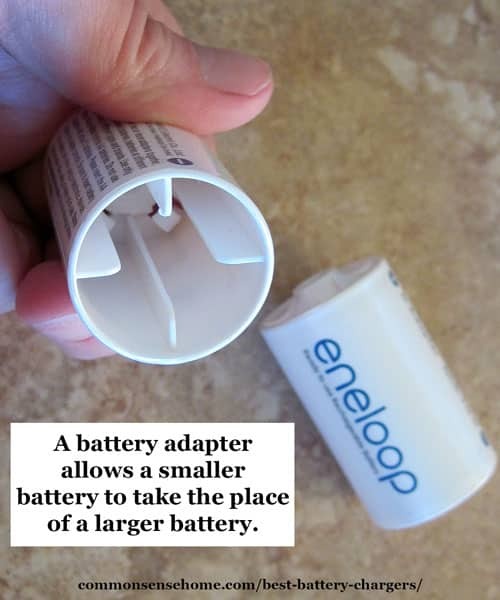 The Sanyo Eneloop Spacer Pack: 4 Pack of C-size and 4 Pack of D-size Adapters are a way to use AA rechargeable batteries for devices that require C or D batteries. The wattage will be lower, but it will work. The adapters slip over your AA batteries so they can be used in place of C and D cells. They don't change the power characteristics of the batteries, but if you need to make the proverbial square peg fit in a round hole, they work and make the AA batteries fill multiple roles. We have successfully used these. When my husband and I were first married, there were many times when I went looking in the kitchen “stuff” drawer for the right battery, only to find out that we didn't have the right size battery or the rechargeable batteries were completely dead. Since then, we've gotten more organized. 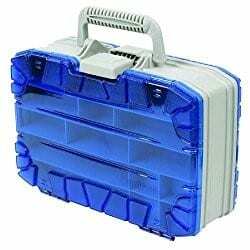 The heavy duty storage case that my in-laws bought is the Flambeau 7320 Double Satchel Tackle Box (pictured above and below), which is impact resistant and has 27 individual storage compartments. Both sides open up to make it easy to see everything that's in it. 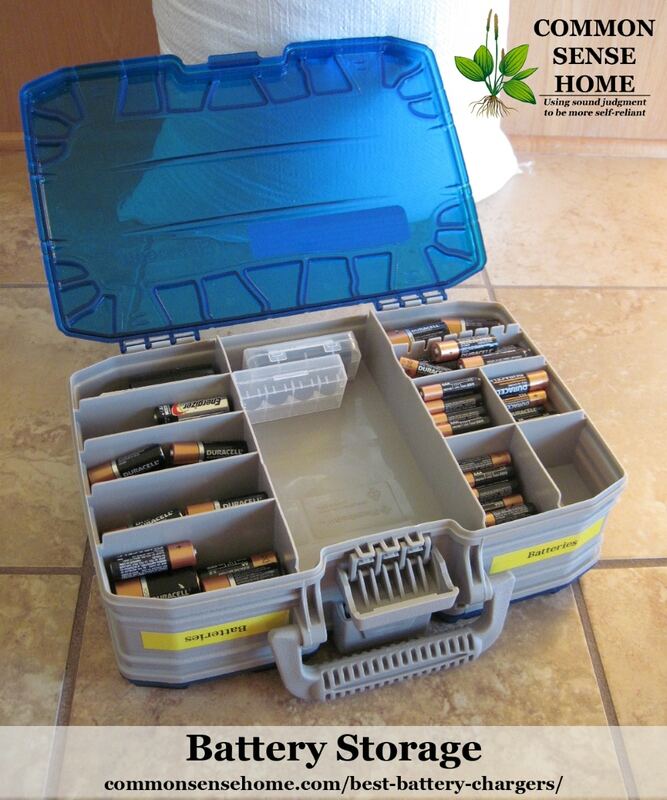 This is a GREAT box and has held up for years and keeps the batteries organized well. There's a smaller battery rack with built in tester that now lives in the kitchen stuff drawer to keep batteries organized. If we get a new one it will be more like the Range Kleen Battery Organizer Case. We also bought a plain, sturdy toolbox to hold everything that doesn't fit in tackle box or organizer. We use it for the bulkier chargers and oddball items. Why buy a Battery Charger and Rechargeable AA or AAA Batteries? Our electric grid is aging, and bad weather or unexpected power outages can happen at any time. It just makes sense to plan ahead to make sure we have the power we need when we need it. Using common sense we can increase our safety, reduce the amount we pay for batteries and lower our environmental impact. Remember, both a rechargeable and non-rechargeable battery can and should be recycled. See “Battery Recycling – How to Recycle Different Battery Types and Corroded Batteries Safely” for more information. I hope you find this post useful. It was a family effort, with bits contributed from my husband, my son (August V) and myself, and it took a while to pull everything together, plus my poor country internet connection kept dropping while I was working on it. Battery Powered Heaters – Are they Available? Originally published in 2015, updated in March 2018. Well, battery chargers are the important things in daily life. and we all want best results. So its a big dilemma to pick out the best one. Thank you, once again, for a very informative post. I will be using this when I have sufficient funds to invest in batteries and chargers. It was very helpful, as i am new to prepping for emergencys. Ty from Canada.